King of Slackers » Archive » More Cats! If there’s anything that the internet can’t get enough of it’d be cats. 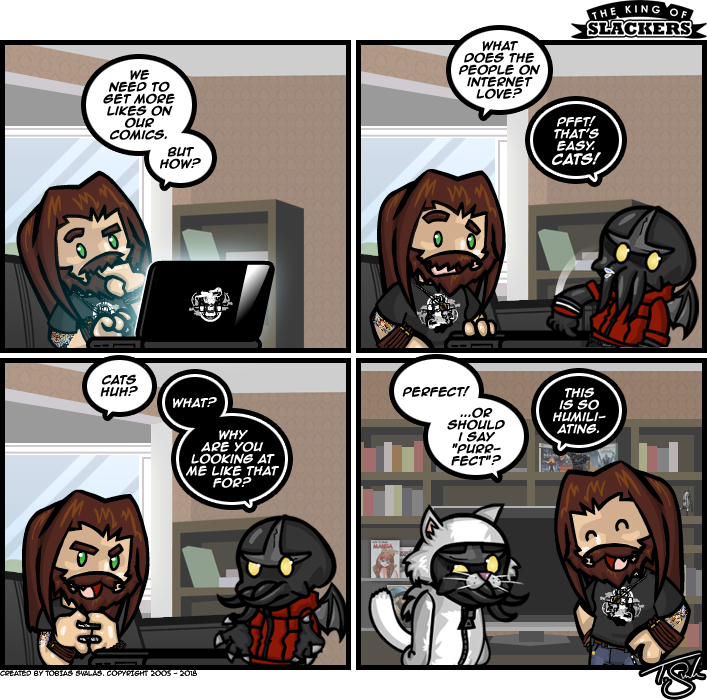 So you guys think that I’d get more likes if Cthulhu was in a cat suit for a few upcoming comic strips? …. No? Nah. Probably not. “But Tobbe! Cthulhu would never allow himself to be humuliated this way!” I hear you ask. Just remember who changed his password for Hello Kitty online. I’ve done it once, and I could do it again! Anyway, enjoy your weekend and stay awesome, dudes and dudettes!